This brooch titled ‘Black Charmer’ is one of those pieces. 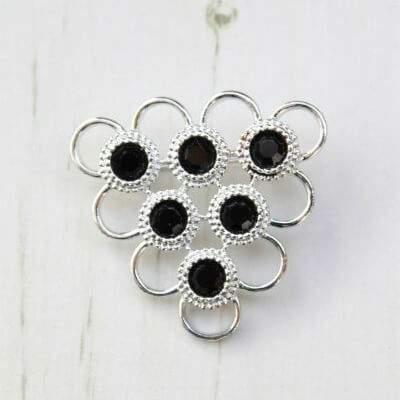 The Black Charmer brooch features 6 jet black crystals in a smooth and textured silver plated setting. 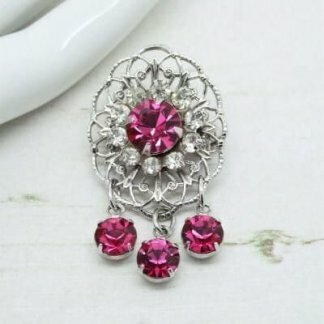 This elegant and sophisticated style brooch measures 4.4cm at widest point. 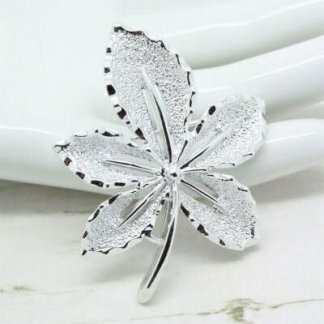 It’s shiny and bright with original stones.